Unassumingly located at Botany Bay Cricket Club near Enfield is an intimate gem of a jazz club called Googlies. Set up 14 years ago by drummer John Jarvis (J.J.), Googlies hosts weekly jazz gigs featuring some of the UK’s finest musicians supported by house band: Colin Peters (piano), Bill Yeomans (saxaphones and flute) and Wally Shaw (bass). Last week we were treated to a personal favourite, award-winning singer and pianist Liane Carroll who has a two-night residency twice a year. This remarkable vocalist and hugely entertaining performer is well known for her eclectic repertoire of jazz and blues including moving interpretations of Tom Waits’ songs, as well as ‘standards’ and jazz classics. She literally breaths new life into everything she sings, taking you on an exciting and fascinating musical journey punctuated with outrageously funny remarks. Other leading names who visit regularly are sax and clarinet player Alan Barnes, guitarists John Etheridge and Jim Mullen and another favourite, singer and pianist (and stand up comedian) Ian Shaw who will be performing just before Christmas on December 17th. Googles has a knack of booking performers whose humour often matches their musical talent. From a tiny kitchen Googlies also manages to offer freshly prepared two course meals for just £12 (booked in advance). Last week’s menu was pumpkin soup or pâté followed by lasagne or fresh salmon. All perfectly tasty, with a range of drinks available from the bar. The quiz is another popular feature with the members. At Googlies you always have a fun and memorable evening out and it offers the chance to intimately experience some of the country’s best talent at very modest prices. Membership costs £15 with tickets £7–9 for members or £9–11 for non-members, students half price. No credit cards. Googlies is open every Thursday from 7.30pm with live music staring at 8pm. 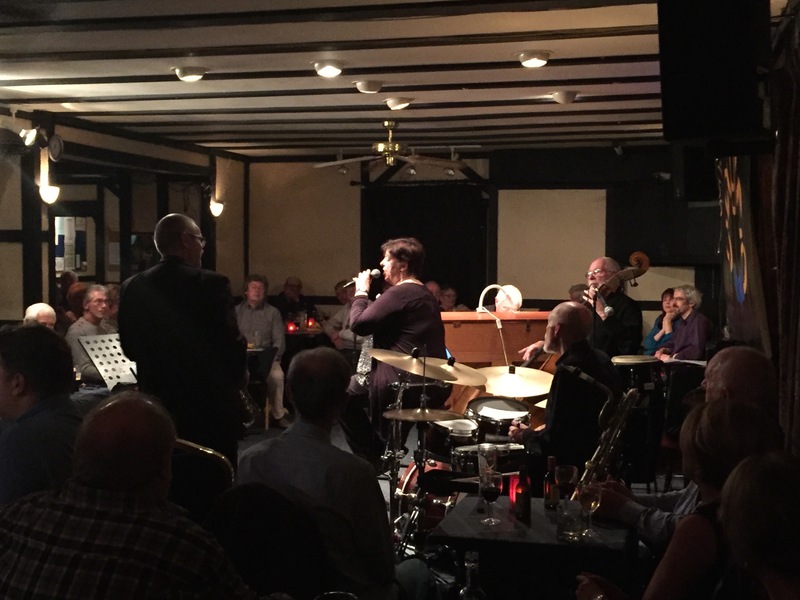 The club also hosts monthly Big Band Sundays at 3pm from October to April. Please see venue website or What’s On listings for details.